Philips FC8085 Bagless Vacuum Cleaner. Safety Mark Approved + Philips Singapore Warranty. The compact Philips vacuum cleaner for powerful cleaning.Easy to store,carry and maneuver thanks to its light weight and small size. Easy to empty dust container helps avoiding dust clouds. Experience the freedom to move. The PowerCyclone technology delivers best cleaning results in one go through 3 highly efficient steps: 1) Air enters fast into the PowerCyclone thanks to the straight and smooth air inlet. 2) The curved airpass quickly accelerates the air upwards in the cyclonic chamber. 3) At the top of the cyclone, the exit blades effectively cut out the dust from the air. 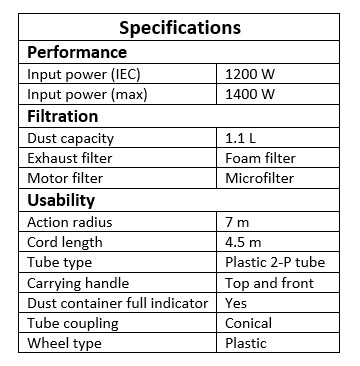 Washable foam filter for life-long performance. This ergonomically shaped grip is convenient in use. Its extra long design gives you farther reach, so you can easily clean hard to reach places. You can easily carry and roll the vacuum cleaner around when cleaning thanks to its light weight and small size. Small sized appliance for compact storage. 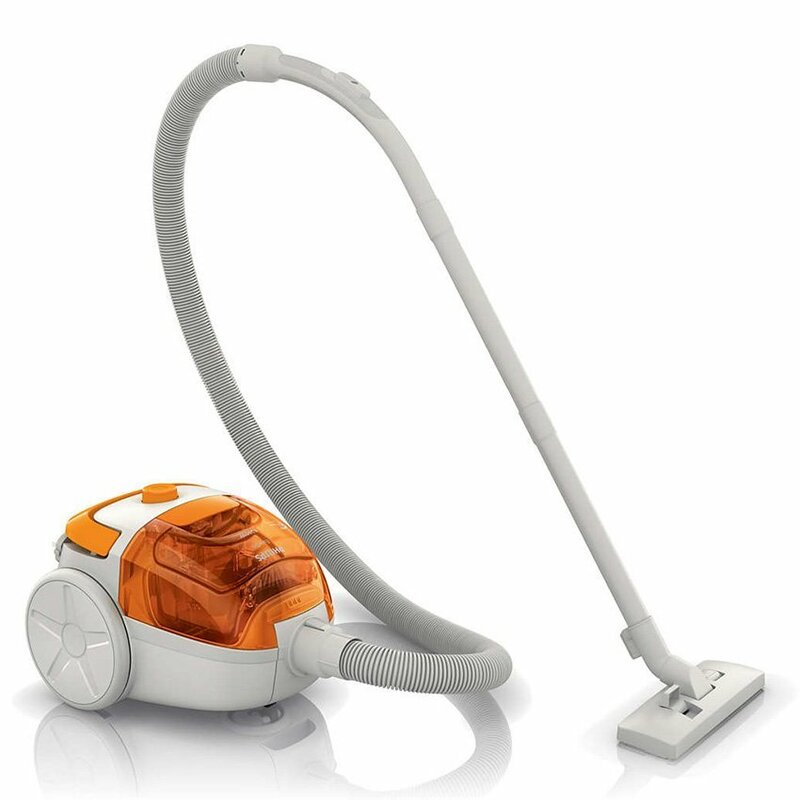 This vacuum cleaner has an efficient 1400 Watt motor generating high suction power for good cleaning results. Crevice tool help you to clean your furniture. Extra handle for easy carrying with cord winder function. Dust container is perfectly designed to dispose dust without creating a dust cloud. 1 button bottom lid operation makes cleaning easy for you. House-cleaning is not something that is done once in a blue moon. Ideally, you should sweep your entire house every day – unless you can bear living with dust bunnies lurking at every nook and cranny. After all, cleanliness is next to godliness. We understand that folks who lead hectic lifestyles may not have the time to clean as often as they should. Hence, you need an appliance that helps in making cleaning chore a breeze. Experience the freedom to move with the Philips FC8085/61 Compact Bagless Vacuum Cleaner. 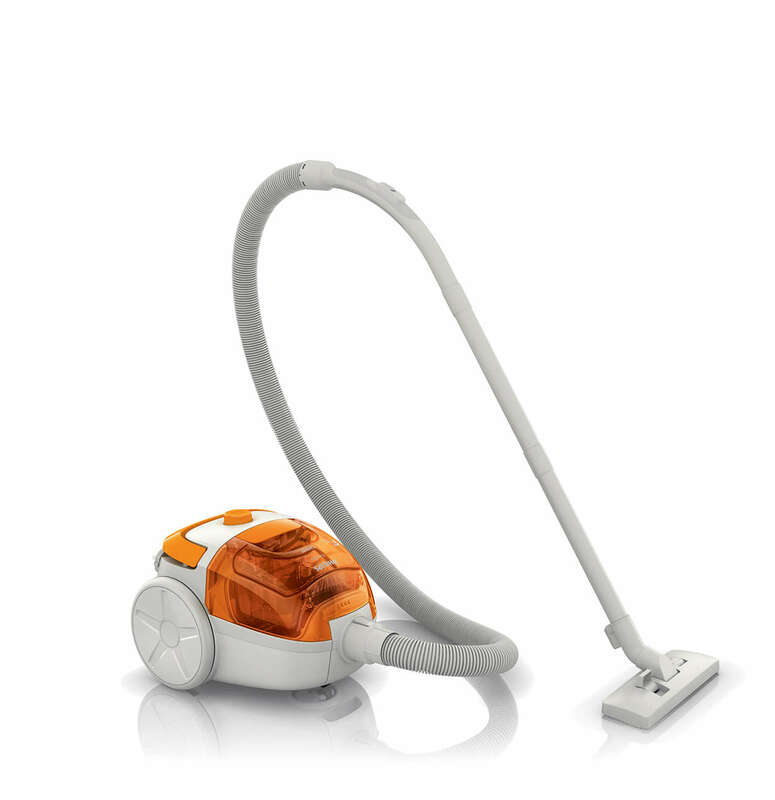 It may be compact and lightweight in size, but its powerful 1400 Watt motor generates high suction power for amazing cleaning results that’s bound to impress you! 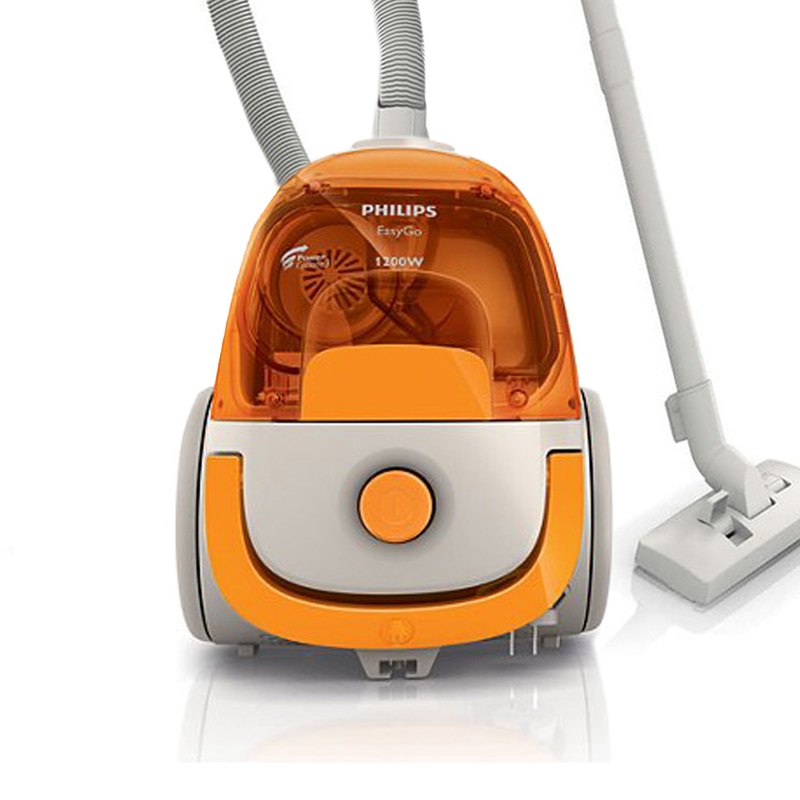 Philips FC8085/61 Compact Bagless Vacuum Cleaner is no ordinary cleaning appliance. 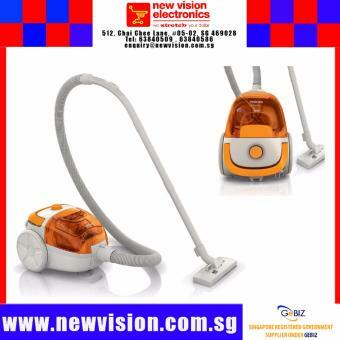 It’s designed with PowerCyclone technology that splits dust and air in one go. The PowerCyclone technology provides superior cleaning results through three efficient steps. First, the straight and smooth air inlet allows air to enter into the PowerCyclone swiftly. Next, the curved airpass rapidly accelerates the air upwards in the cyclonic chamber. Once the air reaches at the top of the cyclone, the exit blades effectively separate the dust from the air. Now that’s powerful cleaning! 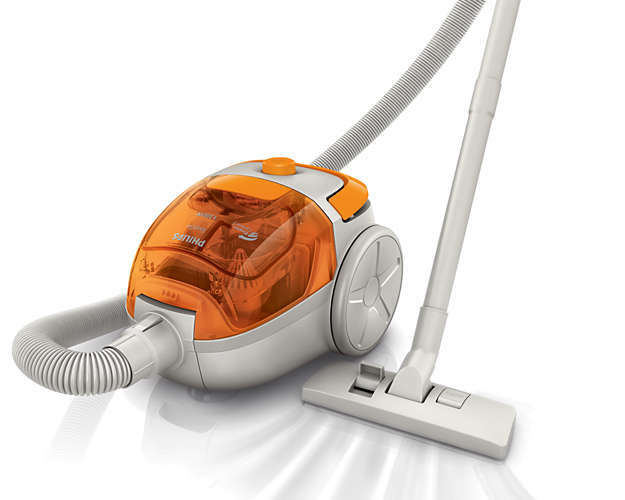 What makes the Philips FC8085/61 Compact Bagless Vacuum Cleaner great? Its unique yet useful features. The extra-long ergonomic grip of 50 cm helps you tackle hard-to-reach areas in your home. In addition, its compact size enables easy manoeuvring too! Philips FC8085/61 features a 1.1 L dust container with integrated indicator as a gentle reminder when it’s full to the brim. Thanks to the one-button bottom lid operation, you can easily dispose accumulated dust without creating unwanted dust cloud. 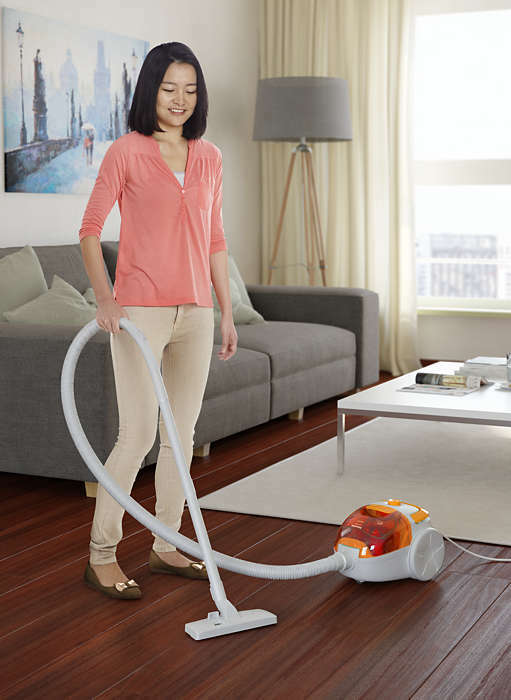 Keep your living space spotlessly clean with the help of Philips FC8085/61 Compact Bagless Vacuum Cleaner!